There are all sorts of people, events and sounds that exist in the musical world for which there are no words. We have been sadly bereft of a satisfactory way to describe the contortion of a singer's mouth when reaching for the high notes; the audience member who leaves a concert halfway through the grand finale; or that person who places one finger in their ear and raises their eyes heavenwards when they sing. Tim Lihoreau neatly solves this problem in The Classic FM Musical Treasury. Having scoured the UK for place names with a musical bent, he has created a charming collection of humorously inventive, musically themed meanings. From choral singing to rock concerts, opera and orchestras, this quirky book will delight music fans everywhere. 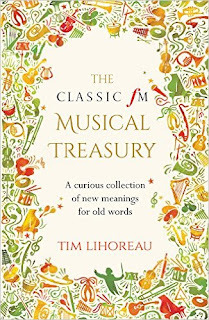 I listen to Tim Lihoreau on my short drive to work each morning and I love puzzling over his carpe diem clues, so I was delighted when I received a copy of his new book to review. 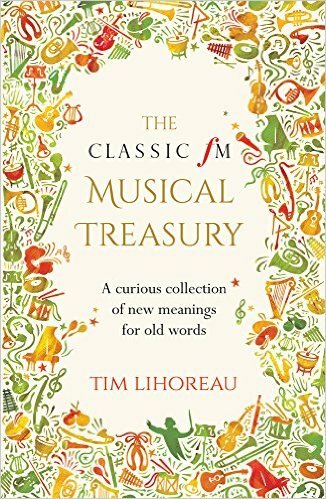 The Classic fM Musical Treasury looks like a book you could dip in and out of but as soon as I started to read, I knew I didn't want to miss a thing and ended up reading it cover to cover in a 24 hour period. 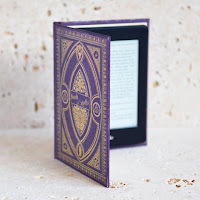 If somebody had told me I would read a dictionary, I would have laughed my socks off but this treasury is more like a dictionary than a book, albeit a very readable dictionary. I continually laughed out loud, desperately holding onto my socks at times, and found myself sharing excerpts with my family. There is something for every music lover in this book, from finding out a name for Freddie Mercury's famous second-skin jumpsuits to the hilariously named hole on the back of a recorder. As a one-time violin student, I almost spat out my cup of tea when I read about the contents of the fidder's hamlet, although I have to say that I kept fruit polos in mine! As a regular listener of Classic fM, I've also been known to play a solo game of kedlock feus and I bet many others do this too. I have so many favourites from this book that I couldn't possibly list them all, but I remember fondly the carfury in my old Yaris who wasn't as much of a Bryan Adams fan as I was but probably jumped out of its skin like I did by the odd chidden on the CDs it chose to let me play. Think I'm talking gobbledygook? Take my word for it, you need this Classic fM Musical Treasury in your life! Don't read it in public though, as you are liable to have involuntary outbursts of laughter. Read it in one go, or dip in and out, this is a Musical Treasury to be treasured and referred to again and again. Amaze your friends at the pub when you tell your friend to stop that annoying tapnage as you describe walking the cadger path on a visit to town, before your return to jingle street. Great fun and a fabulous gift for the music lover in your life.